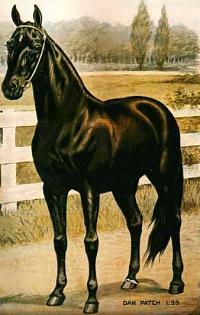 and artifacts about the horse, Dan Patch and its owner, M. W. Savage. The Historical Society is gearing up for Dan Patch Days 2019. The Horseshoe Hunt is being planned and clues will be available Here. The Historical Society has lost a founding member, please read the article. We were present today June 24, 2018 for the unveiling of the MW Savage & Dan Patch at the Savage library. ​Click the LINK for more pictures and some of the people present for the event. Click below for the latest articles with Dan Patch as the topic. Including a new article on the passing of our former President, Jens Bohn & founding member George Augustinack. Read the latest article in the Savage Pacer about the funding for the Statue of Dan Patch at the local library. We have also created a easy PDF for your reading pleasure. The Dan Patch Historical Society creates Newsletters to keep our members aware of the activities related to Dan Patch during the year. We have an archive of past Newsletters available on the website, but members get the most current Newsletters mailed to their door. If you want the most current NEWS, become a member. Click HERE to apply for membership.